It’s time to stock up on some of your beauty favorites and try some new products that have been on your wishlist! 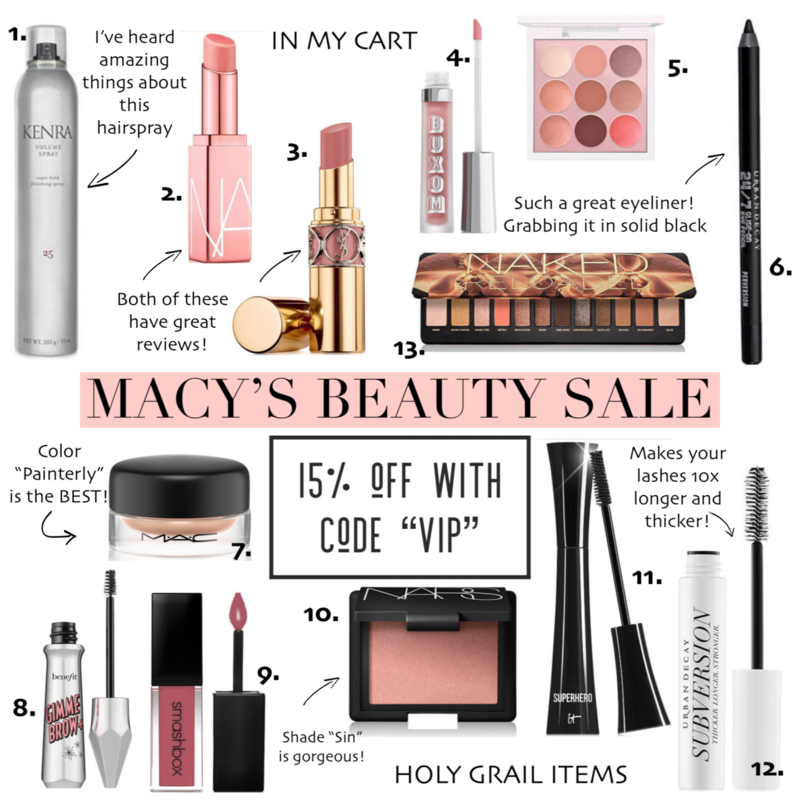 All beauty at MACY’S is currently 15% off with code “VIP” and during this event and the Sephora sale is when I usually replenish my supply and snag a few new lip colors to try (my weakness). I never pay full price for my beauty products unless I’m desperate and completely out of a product. I usually wait for these sales and stock on up! 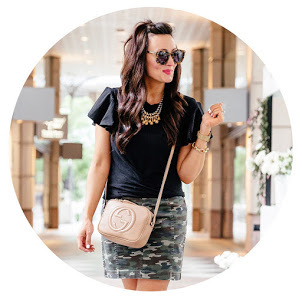 I’m linking all of my daily products below AND sharing color details, shades I love and all of the other details you might need in hopes that it makes your shopping easier online. I also have multiple beauty tutorial videos over in my Instagram highlights under “makeup”. If I have time in the next day or two, I’ll try to pop on and do my makeup for you all + talk through products, so make sure you are following me over there. Per usual, if you have ANY questions, feel free to leave me a comment or send me a message. I’m here to help answer your beauty questions if I can!